I just had the opportunity to try a Windows Phone. My interest, of course, was to see if Gujarati was supported. 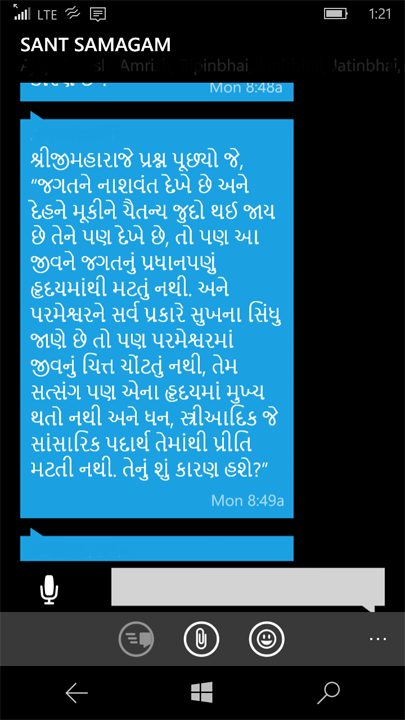 On a Microsoft Lumia 640 LTE (AT&T branded phone) running Windows Phone 8.1 (Denim), we can at least read Gujarati. Microsoft has included the new Nirmal UI font that is part of Windows 8.1 as well. This font includes many languages of India in addition to Gujarati. 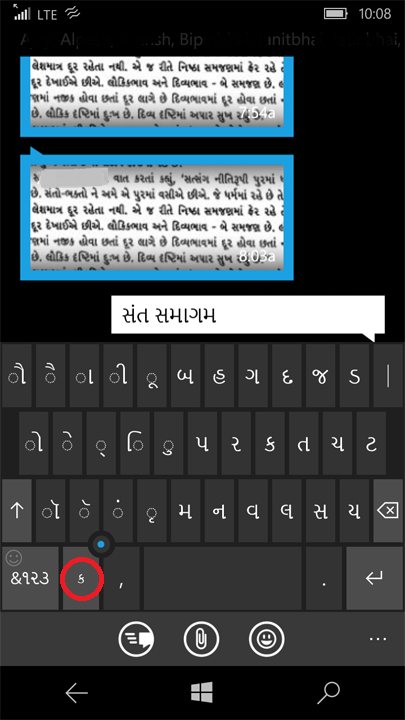 Below, you can see the Nirmal font with Gujarati text in Windows version of the WhatsApp app. With version 8.1 and below, the platform was called Windows Phone. 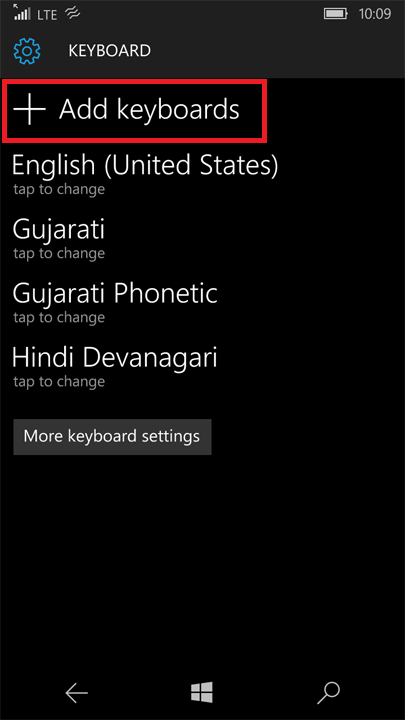 Windows Phone 8.1 definitely supports Gujarati font it does not include a keyboard to be able to type Gujarati. I am not sure if Windows Phone 8.0 does or not. 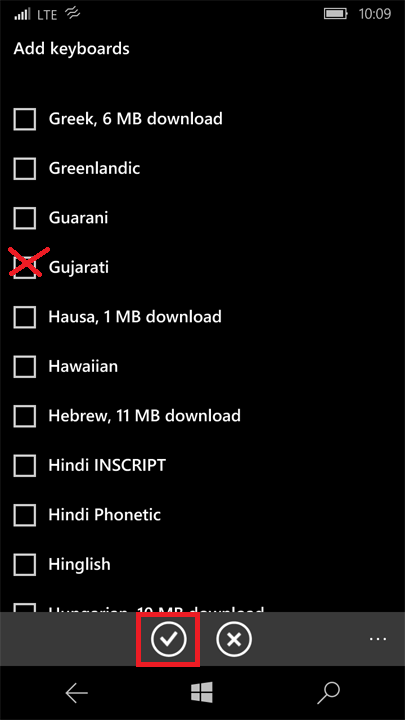 After I upgraded to Windows 10 Mobile (the new name for the platform), I was able to add a Gujarati keyboard to be able to type in Gujarati. Below are the steps to do just that. It should be self explanatory but this is in case someone needs a little guidance. First, go to Settings in your phone. You can go to the list of apps and find Settings there. 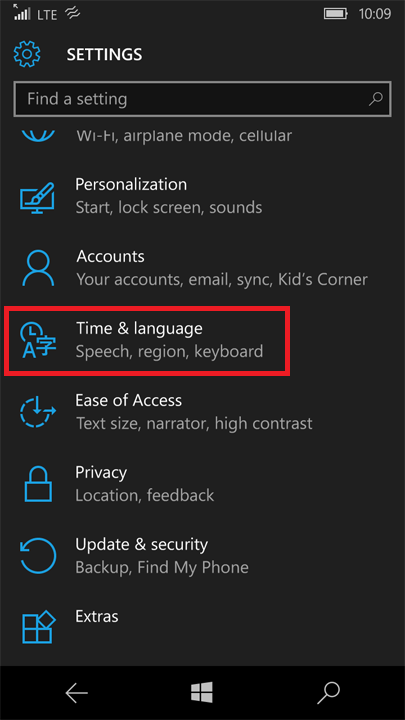 In settings, chose Time & Language as shown below in the screenshot. 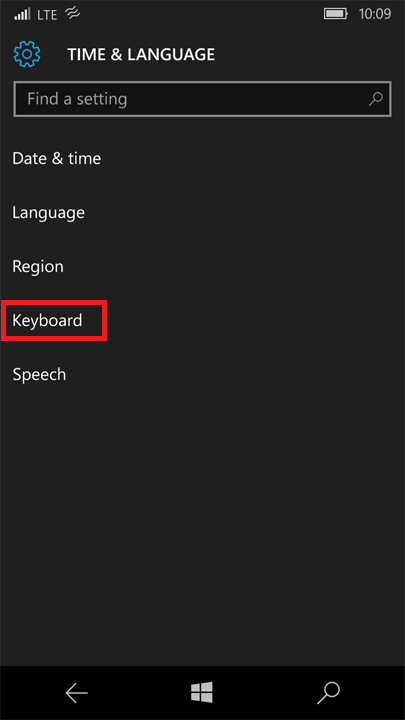 Choose Keyboard in the subsequent screen. Next, click on the + Add Keyboards. In the screenshot below, I have already added the keyboards. However, if you haven't already added them, you won't see them in the list. Find Gujarati in the list and touch the box to check it. Then, touch the check mark icon on the bottom to add the keyboard. 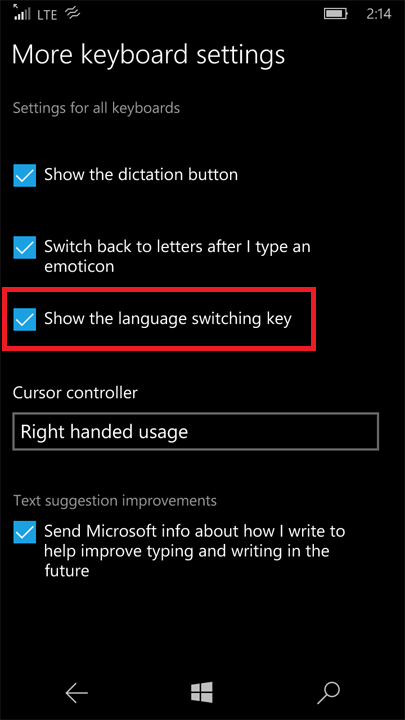 Lastly, go to the More Keyboard Settings page and check Show the language switching key which will allow you to changed from English to Gujarati and other keyboards you may want to see. 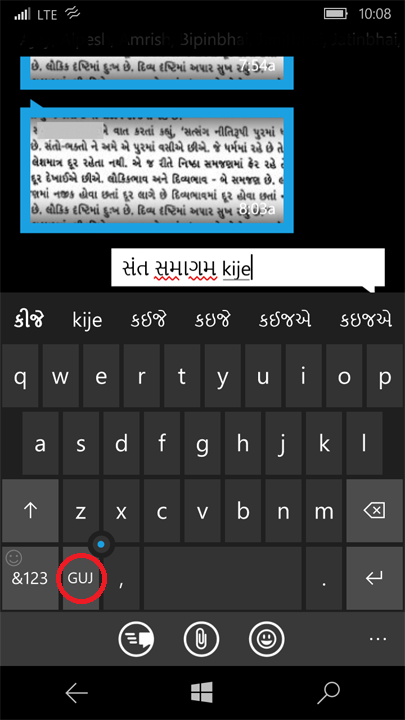 But in case typing 'abc' to get 'અબચ' is your thing, then you can use the Gujarati Phonetic keyboard as below.